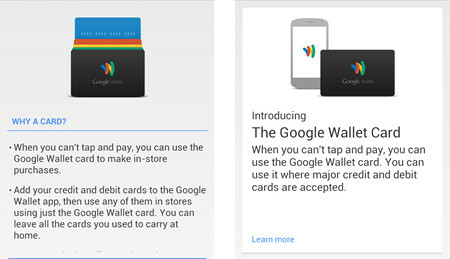 Google may be planning to launch plastic wallet cards that would work in conjunction with Google Wallet. In a report leaked by AndroidPolice.com, the physical Google Wallet card seems is very real and could be released soon. The physical card will work in conjunction with Google Wallet, can be used the same way as the app and will draw money from the credit card linked to the user’s Google Wallet account. The plastic card will work anywhere major credit cards are accepted, and can be used in those scenarios where tap and pay is not a supported or preferred method of payment. This will essentially allow Google Wallet users to carry one card, and their phone, rather than a wallet full of credit and debit cards. Acquiring the card is as simple as using it. Using the Google Wallet app, customers can order the card and have it delivered directly to their home. Additional features for the Google Wallet app include a deposit and withdraw function— which allows for transfer of funds to and from the “Wallet Balance”— and person-to-person money transfers. 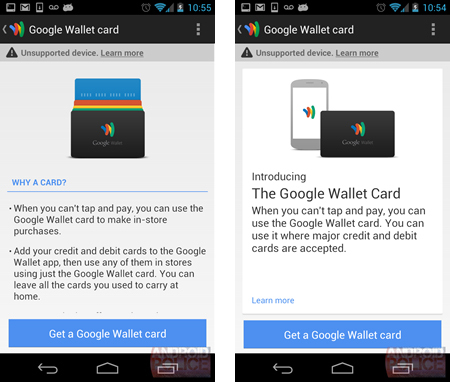 The full Android Police article and images of the Google Wallet release can be found here.